ASC Pricing and Quoting is a configure, price and quote (CPQ) solution that automates and streamlines the pricing and quoting lifecycle, with focus on facilitating RFP, RFI and RFQ creation, as well as sourcing, procurement, and collaborative negotiation. The platform serves organizations of all sizes, and within a variety of industries including finance, legal, communications, energy & utilities, government & education, and healthcare. ASC Pricing and Quoting helps manage the complete bidding process including tender posting, amendment and access, as well as response submission, evaluation and award. Features for sales pricing and configuration allow users to automate and manage sales configurator requirements, including pricing and promotion calculators for customer, volume, channel, and product-specific promotions or discounts. ASC Pricing and Quoting encompasses the full buy-side and sell-side contract management lifecycle with QTC (quote to cash), QTO (quote to order), and CPQ (configure, price, quote). The solution enables wizard-based document generation including quote, proposal and pricing authoring with templates, a clause library and smart forms which can be stored within the online repository to manage all RFx documents and related materials. Search and report options allow users to search by full text, field, or by document. Catalog management functions include flexible product configuration options with tools pricing and discount management. Users can setup advanced workflows and approvals, with automated notifications and alerts for tendering and procurement milestones, and improve cross-company compliance with automated business rules and escalation procedures. ASC Pricing and Quoting offers third-party collaboration and redline negotiations with seamless integration into Salesforce, Oracle, Microsoft, SAP, eSignature vendors, and more. The importance of capture and analyze data to create tables and graphs with complex data. Its ability to manage large volumes of data and carrying out text analysis among other formats. ASC Pricing and Quoting helps improve buyer-seller relationships management with industry specific modules and advanced configuration options. Centralize and simplify data entry procedures for reduced manual entry and errors. 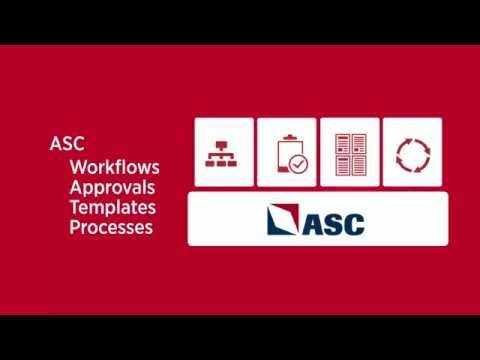 Automate and improve pricing and tendering management, product configuration and sales configuration processes with ASC Pricing and Quoting. The platform seamlessly integrates with existing environments including SFAs, CRMs, ERPs and eSignature engines. ASC Pricing and Quoting is accessible on premise or on demand in the cloud at any time, anywhere, and from any device. Below are some frequently asked questions for ASC Pricing and Quoting. Q. What type of pricing plans does ASC Pricing and Quoting offer? Q. Who are the typical users of ASC Pricing and Quoting? Q. What languages does ASC Pricing and Quoting support? Q. Does ASC Pricing and Quoting support mobile devices? Q. Does ASC Pricing and Quoting offer an API? No, ASC Pricing and Quoting does not have an API available. Q. What other apps does ASC Pricing and Quoting integrate with? Q. What level of support does ASC Pricing and Quoting offer?